RUSH: I checked the e-mail during the break at the top of the hour, and there’s some people wanting to know why I haven’t spent a lot of time on the latest involving gun control. Toomey-Manchin, Pennsylvania and so forth. It’s not that I haven’t, folks, and we’ve got some stuff on it coming up. There’s really only one thing you need to know. The Democrats want to do away with the Second Amendment, and if they can, they want to end up registering every gun and its owner in this country. Their ultimate objective is to see to it that nobody has any. That’s what’s on tap. Now, no Democrat’s going to admit that. Well, very few of them will, and it’s not something that they expect to be able to accomplish tomorrow. But all these gun control skirmishes have a long view and a long-term policy objective to the left, and that is to get rid of everybody’s guns, take guns away from people have them. They don’t like the Second Amendment. If they could, they’d write it out of the Constitution. Barring that, they’ll come up with ways to override it. And if you don’t want to admit that that’s what this is all about, then you’re really not up to speed on it. All these skirmishes are just that, they’re skirmishes that are part of the larger Democrat Party objective to render the Second Amendment meaningless, to render it powerless. They say this in so many words. In fact, when they deny it they give up the game. They oftentimes deny that charge without anybody leveling it. They often say, “Well, we don’t want to take your guns away. We love hunting.” And they give the game up right then and there. They just like the way it feels. You know, it’s like driving a Ferrari. And then he raised his arms as if he was shooting a gun. So the vice president of the United States — this was on MSNBC this morning — you people that like guns, it’s not even about hunting anymore. You just love the feel of that AR-15 in your hand. And maybe self-protection. Maybe self-defense. But the real reason you want guns is you just love the way it feels in your hand. You just love the power that the gun in your hand gives you, sort of like your hands being on the wheel of a Ferrari, you just love the power. I must take a brief time-out, but I’ve got some sound bites that go with this, so sit tight. Those coming up, plus your phone calls, after this. Don’t go away, folks. RUSH: So there are, let’s see, some liberals who want to separate you from your guns. Admittedly, correct? There are some liberals who want to separate you from your kids. We have learned in the past couple of days, right? And I don’t know how many of you have done your taxes yet, but if you haven’t, have I got a surprise for you. You’re gonna be hit in ways you haven’t imagined. It’s obvious that the American left wants to take away your money, some of them want to take away your kids, and a whole bunch of them want to take away your guns. That pretty much is the Democrat Party agenda that we find ourselves in the midst of. TOOMEY: I would s-strongly disagree. Look, the problems that we have are not law-abiding gun owners like Joe and myself. Uh, and we don’t need, in my view, to put restrictions on what law-abiding people can do. What we need to do is try to keep guns out of the hands of criminals and dangerously mentally ill people. That’s the problem, and that’s what our bill will make some progress on. 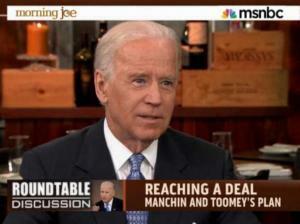 There’s no panacea here, and I shared Joe’s experience, separately meeting with the families. I was amazed at their strength, and they understand that there is no panacea. But a measure that helps to make it harder for violent criminals and the dangerously mentally ill to get guns, I think that’s just common sense. RUSH: Yeah, well, you know what this bill does, reportedly? This bill allows doctors to report whether or not you are mentally ill — whether you know it or not — and then that information can be used to deny you a gun. I don’t know if it’s particularly Toomey’s, but there’s legislation out there that would give doctors all kinds of leeway, latitude, in simply proclaiming somebody as mentally ill. And if you have a gun, if you already have a permit, you have a concealed weapon, it doesn’t matter. CRUZ: Well, I think it will be taken seriously. I don’t know whether it will pass or not. You know, I think all of us were horrified by what happened in Sandy Hook. I’ve got two little girls at home, and no parent could see children senselessly murdered. But I think it is also sad that so many politicians are trying to take advantage of that tragedy, not to pass legislation targeting violent criminals, but instead working to take away the Second Amendment right to keep and bear arms of law-abiding, peaceful citizens. CRUZ: In 2010, over 15,000 felons and fugitives tried to illegally purchase guns and were turned down. Out of those 15,000, the Obama Justice Department prosecuted just 44. Let me repeat those numbers: Out of 15,000 felons and fugitives illegally trying to purchase a gun, the Obama Justice Department only prosecuted 44. I’m introducing legislation to create a task force in the Department of Justice. We need to prosecute violent felons and fugitives. We need to go after them to protect ourselves from violent crime, and we shouldn’t be stripping away the Second Amendment right to keep and bear arms of lawful, peaceful citizens. This is really hideous what’s happening here — and congratulations, Senator Cruz, for honestly calling ’em all on it. RUSH: Jean in Bethlehem, Pennsylvania. Hi. I’m glad you waited. Great to have you on the EIB Network. Hello. CALLER: Oh, thank you, hon. Surprised I got through. RUSH: Well, I’m glad you made it. CALLER: Okay. I have a comment about the gun control bill. I called the NRA this morning, my senators, and then I thought that I needed to call you. The woman at the NRA told me to please try bring this to someone’s attention. I woke up at about three o’clock this morning and thought, “Why is no one looking at the fact that the mass murders have all been committed by men?” I believe that. I could be wrong. But I’m pretty sure the ones that are currently part of this issue have been men. RUSH: Why did the NRA want you to publicize that? RUSH: ‘Cause what does it have to do with anything? RUSH: It’s being directed at everybody. What legislation are you referring to specifically? RUSH: Their bill would only take guns away from women? CALLER: Yeah, it will take guns — it’s going to require the same restrictions on everybody. CALLER: Which I think is unconstitutional. I don’t agree with the bill. I don’t think it should happen at all. That’s why I called Toomey, because I think he’s totally caving in and helping to destroy our Constitution. RUSH: Yeah, it’s kind of curious, too, because I don’t see how this is gonna help him, particularly in central Pennsylvania. Toomey appears to be angling for votes, whatever remaining Republican votes there are in suburban Philadelphia, but he’s literally angering the central part of the state. They take this stuff very seriously there in Pennsylvania. CALLER: I do. I do. I’m just shocked that he’s doing it. RUSH: I’m still confused. Are you trying to be funny and I’m missing it? CALLER: Do you get it or am I still not getting through to you? RUSH: Well, no, I’m not sure that I understand because it sounds like it’s okay to take guns away from men because they’re committing the crimes, but let you women keep yours? RUSH: I guess I don’t get, so, mass murders are committed by men. Abortions are committed by women. So? CALLER: Yeah. But if you bring the abortion issue into it, that’s a whole different discussion, and I’m pro-life. RUSH: Yeah, maybe I’m just having a bad day ’cause I’m really distracted and depressed here today, but I really don’t understand what you want as a woman, what the point is, that mass murders are committed by men or boys. Don’t forget the boys. RUSH: It’s not just men. RUSH: Little prepubescent acne-faced kids are doing this. RUSH: Because what difference would it make? CALLER: It makes a huge difference to me as a woman if I’m not part of the group that’s committing the mass murders. My gender is not the one that’s primarily responsible, the men are doing it, and so that seems to be a real social problem. And nobody’s asking that. And I think they should be asking everything. CALLER: What purpose to ask about the mentally ill? What purpose for any of it? RUSH: Exactly. What I’m hearing you say is that you want women exempted from whatever gun control law is passed because they don’t do mass murders. CALLER: No, that’s not what I said. RUSH: Well, then why does it matter? CALLER: — and men do. RUSH: I’ll do it. I’ll do it. Stand by just a second. CALLER: You will do it? RUSH: Three, two, one. Ladies and gentlemen, have you ever, ever wondered why — and somebody call Senator Toomey and ask him this — why is it that women do not commit mass murders? And you ask him about that in his bill. You call his office and you ask him, “What the hell is going on? Women don’t commit mass murder.” How’s that? CALLER: That’s perfect. And can I make a comment about what you said about Nixon? RUSH: Well, yeah, this could be fun, too. CALLER: Well, he was an ugly old man and he didn’t have any charm in his smile. So he couldn’t get away with anything. Barack Obama has a big sparkly, charming smile. CALLER: And he seems to be able to get away with anything. RUSH: If Nixon had a gun and Obama had a gun, would you be okay with Obama keeping his and Nixon being forced to give his up? CALLER: No. No, I wouldn’t. 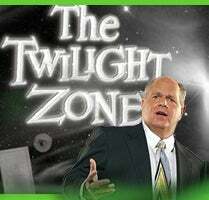 RUSH: What about if Pat Nixon had a gun and Richard Nixon had a gun, which one of them would have to give their gun up? CALLER: If they had to? RUSH: Yeah, if they had to? Which one? CALLER: Not gonna back me into that corner. RUSH: You already backed yourself into it. Is this really happening? Folks, I’ve not shared, I can’t tell you what an odd day this is. Okay. Jean, thanks el mucho. Please, folks, don’t call Toomey’s office with that. I don’t urge people to call Toomey. I meant to ask the question about, you know, has anybody ever stopped to consider that women are not mass murderers, at least with guns? But I never say to call people, don’t call him, please, I didn’t mean to say that. It’s not gonna accomplish anything. That’s not at all gonna be useful here. It just kind of slipped out. Do I feel better asking the question, pointing out why there are no women mass murders? Much better, I feel totally cleansed. I feel like I’m immersed and swimming in a 20-foot-deep pool of logic. Here’s Sean in Forest Hill, Connecticut. Welcome to the EIB Network. Hi. CALLER: Thank you, Rush. Great time hearing from you, big time fan, long-time listener. CALLER: First-time caller. I wanted to bring up the fact that, you know, I see this as definitely a left-wing thing. I see the whole agenda falling together. My major issue is how quickly they’re diagnosing our children with ADHD and depression disorders. I have two daughters myself and my oldest daughter, they originally diagnosed with ADHD although she never had it as child, and then they switched it to minor depression and they put her on an SSRI, which is an anti-depressant, right? But the idea is that they’re putting all this together. This way your children are already diagnosed with mental disorders so they can already be barred from being able to get guns, that way it eliminates a big portion of society from being able to get guns in the first place. I see it as a big plan coming together, really to take guns out of everybody’s hands. All they gotta do is diagnose you as a kid. RUSH: Which is in one of the pieces of legislation out there now that permits doctors to randomly declare you or anybody mentally disabled in one way or the other without you knowing. It’s not the law of the land yet. It’s in a piece of legislation that has been proposed. Anyway, Sean, thanks for the call. I appreciate it. Folks, none of it makes sense to me either, so don’t worry about it. RUSH: There’s a piece at Red State.com, Erick Erickson, about what he has found in the Toomey-Manchin proposal. “The proposal will allow a doctor to add a patient to the National Instant Criminal Background Check System (NICS) without ever telling the patient he or she has been added. There would be no due process requirement. Not all doctors will be able to do it with the same ease, but many will. Now, this is in the Toomey-Manchin proposal — Pat Toomey, Joe Manchin — according to Erick Erickson who’s looked at it. This is what Ted Cruz was talking about in the sound bites. All of this, folks, is oriented toward one objective (again, this is not new, either) and that is: People on the left want to find ways to separate citizens from their guns, without amending the Constitution and without having to pay any attention to the Second Amendment. That is what every piece of liberal gun control legislation is about. Now, you may not want to admit it to yourself. That may be too big a concept to grasp and believe because, “My God, that’s really big! We can’t let that happen. It’s a call to arms or call to something.” But if this is true — if a bipartisan proposal will allow a doctor to randomly add a patient to the National Instant Criminal Background Check System without ever telling the patient he or she’s been added, with no due process — then that could lead to somebody who currently legally has guns having them taken away. It could also lead to somebody not being able to pass a background check and get guns. ABC News: Biden: Gun Owners "Like The Way It FeelsÂ…Like Driving a Ferrari"